The Staunton Public Library located in Staunton, Virginia. 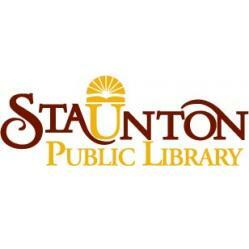 The Staunton Public Library has genealogy resources. The Staunton Public Library is a FamilySearch affiliated Library, with FamilySearch microfilms available to order. The Library can help you in your search with numerous online and in-Library resources. * A dedicated computer with access to Heritage Quest, Fold3, and Ancestry Library Edition databases and selected genealogy websites. * Local History Filing Cabinet: newspaper clippings and articles about Staunton and some surrounding areas. * Virginia Memory, a Library of Virginia digital Library with digital collections, including the Chancery Records Index. Each of Virginia’s circuit courts created chancery records that contain considerable historical and genealogical information. * August County Historical Society’s archived online index. The August County Historical Bulletins are available in the Library’s Genealogy room. * Waddell’s and Peyton’s books and the Chronicles of the Scotch-Irish settlement in Virginia are available as well in the Library. * Virginia Heritage, a consolidated database of more that 12,000 finding aids providing information about archival materials housed in various institutions across the Commonwealth. * The Valley of the Shadow Project – a hypermedia archive of thousands of sources for the period before, during, and after the Civil War for Augusta County, Virginia, and Franklin County, Pennsylvania. Sources include newspapers, letters, diaries, photographs, maps, church records, population census, agricultural census, and military records. * Chronicling America – Access to and information about many American newspapers. * Cyndi’s List – More than 180,000 categorized and cross-referenced links to websites with genealogical information on the web. Includes lists of sources geared specifically for beginners. * The DAR Genealogical Research System – A combination of several databases created in recent years to organize the large quantity of information that the Daughters of the American Revolution has collected since its inception. * Ellis Island Immigration Records – Search passenger records for ships that landed at Ellis Island between 1892 and 1924. Castle Garden, also in New York harbor, was the official immigration center from 1855 to 1890. * RootsWeb – Known as the oldest and largest free genealogy website. * Social Security Death Index – A listing of persons who had a Social Security number and whose death was reported to the Social Security Administration.